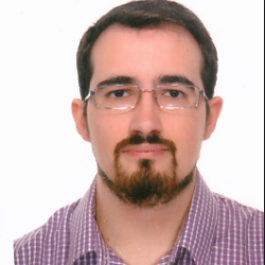 Javier Herrera graduated in History by the University of Málaga, and since 2014 is a predoctoral researcher in the University of Zaragoza with a contract for Faculty Formation of the Spanish Ministry of Education. At the present he is preparing his PhD thesis under the supervision of Dr. Francisco Beltrán, which is focused on the Romanization of the Southern Spain through epigraphic culture and linguistic change. He is member of the research project “El nacimiento de las culturas epigráficas en el Occidente Mediterráneo” founding by the Spanish Government and the group “Hiberus” of the regional government of Aragón.